Of all the stately farmsteads in the Drakenstein Valley, Boschendal has the finest setting. So wrote the Cape’s well known restoration architects Gawie and Gwen Fagan at the time of the renaissance of Boschendal in the late 1970s. Those words were true 150 years before they were written and shall remain so unto eternity. I was privileged to live and work there for nine years from 1977 and to be around during the early days of the pioneering work done by this beautiful estate and its fine winery. The original title deed for the Estate was drawn up in 1713 after the Dutch East India Company officials measured the 60 morgen grant. The deed shows that Jean le Long, a French Huguenot was the first owner in 1685, and it was he who named the farm Bossendaal, wood-and-vale. Alys Fane Trotter, who lived at the Cape for two years from 1896 to 1898 and who rode around the Winelands on her ‘unpunctured’ bicycle mentions Boschendal as a ‘very beautiful example of colonial work’. She also tells that in 1690, the farm passed into the hands of Nicolas de la Nois or de Lanoy – it is after him that one of the wines from the modern Boschendal Winery is named. However archival research by the Fagans showed that de Lanoy owned a piece of unnamed land adjacent to the original grant. 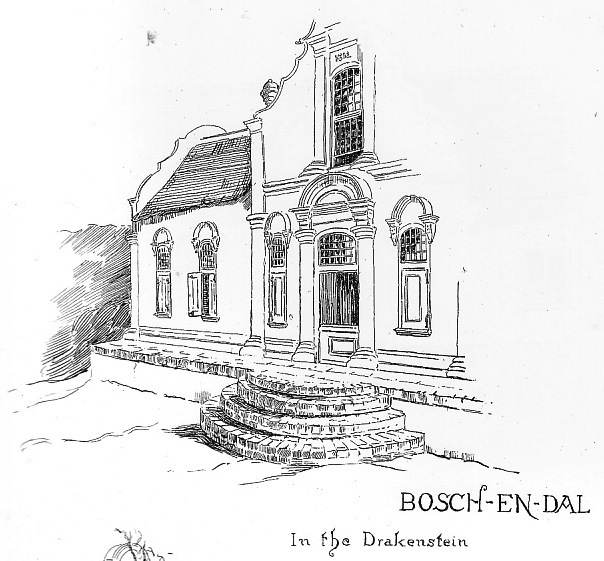 But Boschendal came into its own during the ownership of the de Villiers family into whose hands it passed in 1715. Abraham de Villiers was one of the three Huguenot brothers who arrived in Cape Town on 6th May 1689 and were founding members of the well-known de Villiers family, which owned the Estate for nearly 100 years. Abraham also made wine on the adjacent farms Meerrust and Lekkerwijn, named thus by the locals after an earlier owner L’Ecrevins. The magnificent Manor House, as we know it today, was built in 1812 by a descendant of Abraham’s brother Jacques, Paul de Villiers and his wife Anna Susanna Louw whose initials and the date of the homestead appear on the front gable. Jan Jacobus de Villiers, the last owner of Boschendal, was a bit of a legend. He demanded and exacted meticulous service and attention from his staff. Legendary are his exotic dressing gown, ‘made of eastern material’ and his tasseled knitted nightcap, his three day log parties when the ‘porte de visit’ or screen was drawn back opening the house from front to back door and allowing lots of room for dancing, his entertaining the Governor Sir George Grey, and his horses, for he was a keen horse breeder and had some of the finest horses in the district. It was pneumonia, contracted one night when he went out to investigate a commotion in the stables, which prompted him to sell the farm in 1879. 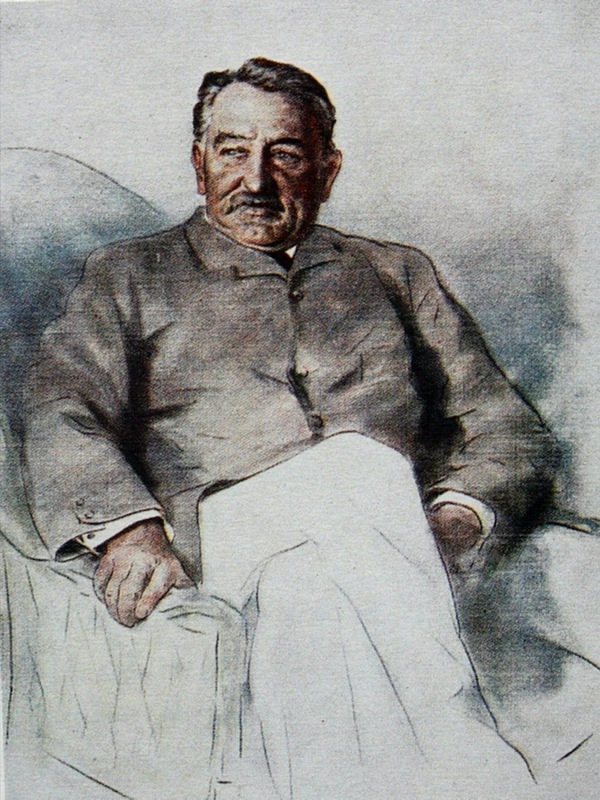 After a couple of short-term owners, Boschendal passed into the hands of Lewis Lloyd Michell an agent of Cecil John Rhodes and then almost immediately Rhodes’s name in 1897. The first meeting of the newly founded Rhodes Fruit Farms took place on March 10th 1902 and on March 25th; the papers were signed into the company. The next day Cecil John Rhodes was dead. Boschendal remained, as part of Rhodes Fruit Farms, part of De Beers until 1941, when the company was bought by a syndicate of Cape businessmen. And it was these four men who ultimately sold to The Anglo American Corporation in 1969. 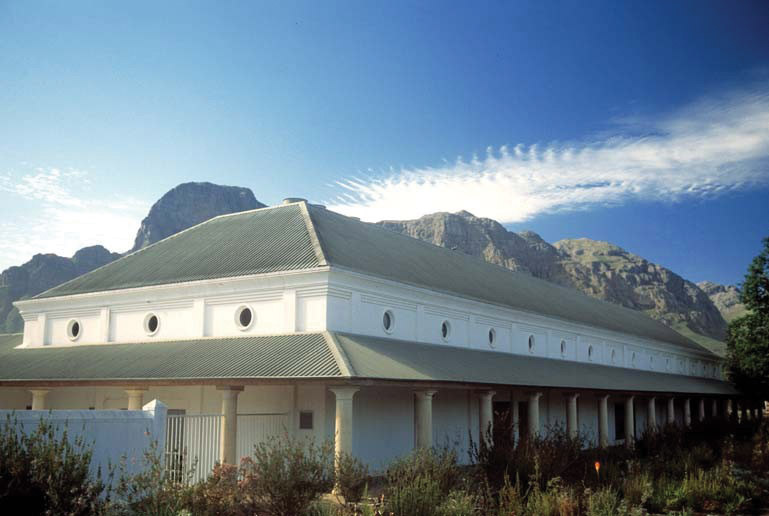 Almost immediately plans were set in motion to replant vineyards, to build a modern winery and to restore the great Manor House that would become the focal point for Boschendal wines. 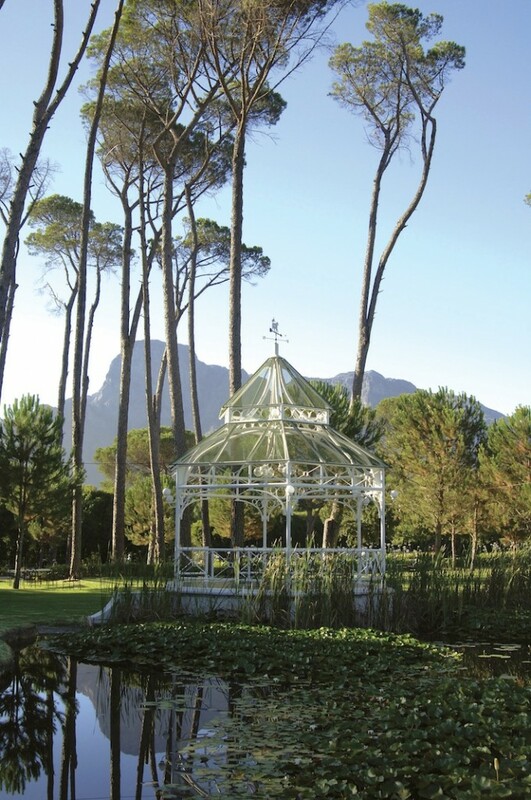 Today Boschendal is a loved and much visited country house offering much to the visitor. Apart from the sublime wines made on the estate, visitors can tour the old Manor House, and enjoy the buffet in the Boschendal Restaurant or at Le Café and in summer, the well known picnics. For some years now the Boschendal wine brand has been owned by DGB [Pty] Ltd, a private company with a well known name for producing some top quality wines. At La Rhone, the next Manor house up the Groot Drakenstein Valley from Boschendal, the old Taphuis is used for Cellar Door wine tastings and sales of Boschendal Wines. Cellar tours take place from here at 10h30, 11h30 and 15h00. Here too is the Ronnie van Rooyen Cellar, named for a former Rhodes Fruit Farms winemaker who lived on the estate for over 50 years. In 1977, Oom Ronnie, as he was affectionately known, came back to the winery and made a final batch of Sherry, which unusually was a vintage wine. His payment was 77 bottles of his eponymous Sherry. Let us not forget that it was here that the pioneering spirit which is the legacy of Boschendal continued with the Estate being the second in the Cape to produced a bottle fermented Champagne style wine, and the first by two vintages to produce a Blanc de Noir of the 1980 vintage, a wine which is now an iconic wine style in South Africa. In those early days, Le Bouquet, Lanoy and Chenin Blanc made Boschendal’s name in the wine industry of the Cape. In 1985, Grand Vin Blanc was launched in honour of the 300 years of Boschendal’s existence. 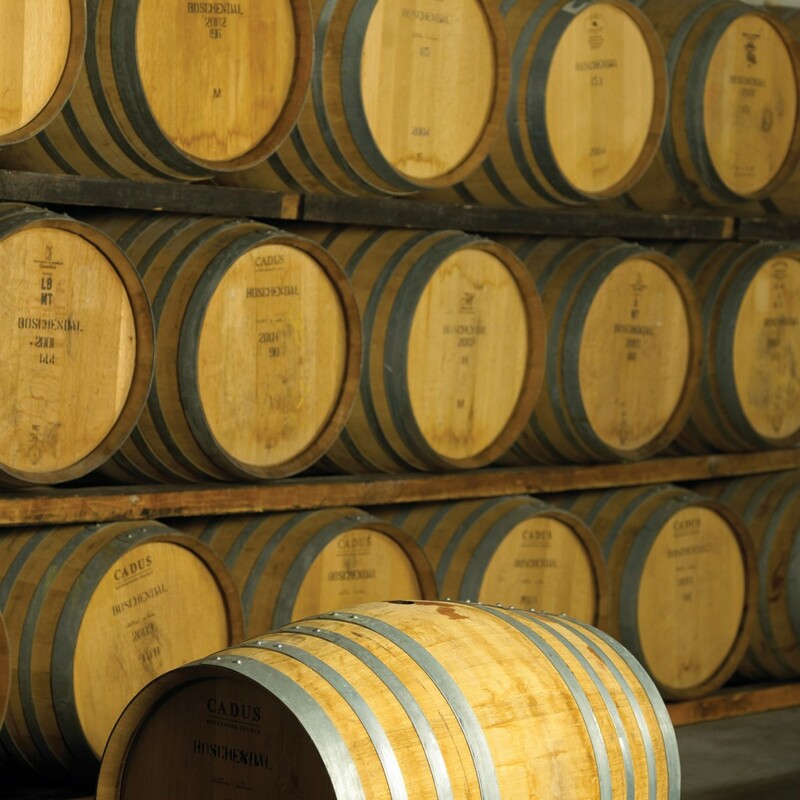 A special bottle was moulded for the wine and this unique shape is still used for a range of wines which emanate from the Ronnie van Rooyen Cellar. Boschendal Winery is a state-of-the-art winery using grapes grown on the estate and those from contracted growers over whose vineyards Boschendal’s viticulturists keep careful watch to ensure that only the finest quality grapes go into the Estate’s range of over 20 wines. Today Boschendal Wines are exported all over the Western and Eastern world, flying the flag for quality South African Wines. A recent AC Nielsen audit showed Boschendal to be the best selling wine in the UK over GBP7.00. To read more about the Boschendal Wines, click here. Each year the hundreds of thousands of visitors to the estate experience the beauty of Boschendal and are able to drink Boschendal wines in the three restaurants on the Estate. The Boschendal Buffet Restaurant was opened in 1978 and for years has been a popular venue at lunch time. 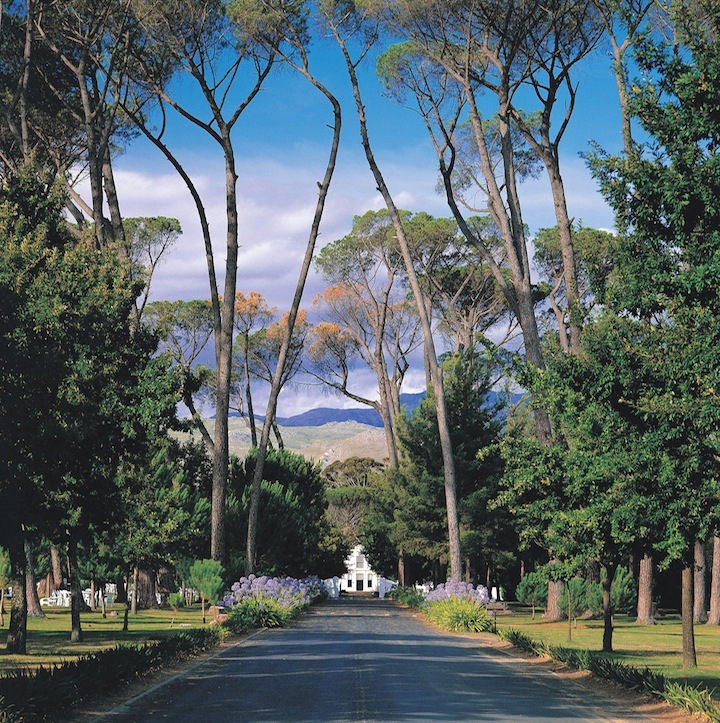 During my time at Boschendal we were fortunate to entertain many well known international figures like Henry Kissinger, French designer Pierre Cardin, the two daughters of Lord Mountbatten, The Countess Mountbatten of Burma and Lady Pamela Hicks and well known musicians like Pierre Fournier and stars of stage and screen. A meal very much like what one would expect when visiting a country estate shows off the best of the produce of the surrounding farms. This is the place that made Malva Pudding famous – on the buffet for over 35 years – and its brandy snaps so loved by Henry Kissinger, are a favourite on the dessert buffet. 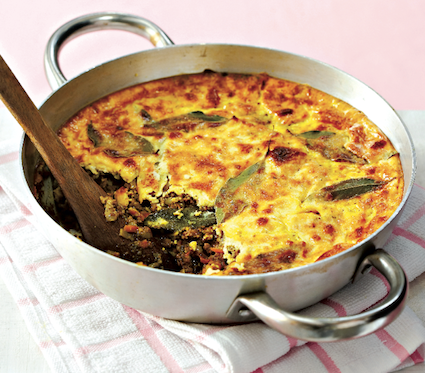 The traditional Cape dish, Bobotie, got new life at Boschendal, and the giant silver cloche each day held a roast cut of meat always served with the crispiest of roast potatoes. There is more casual eating to be had at Le Café, housed in the former slave homes of Philander, Kandas and Karlien. In summer picnic lunches are served on the lawns surrounding an enchanting Pavilion under the giant stone pines which stand guard behind the Manor House. In the Waenhuis Gift & Wine Store, located in the original Boschendal Coach House, you will find a memento of your visit. You will find many souvenirs and the range of fine Boschendal wines and a wide range of handcrafted gifts, pickles, jams and preserves. 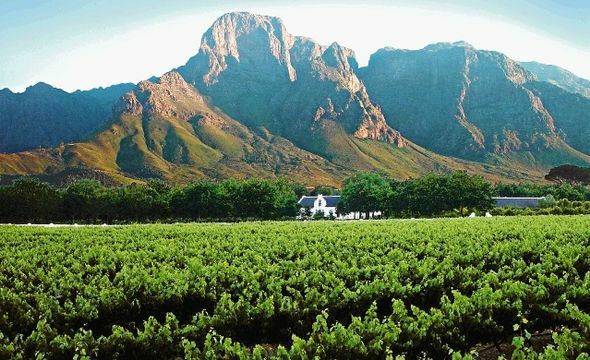 A visit to Boschendal is to glimpse the past, and in terms of its wines, to taste, and indeed buy, some of the finest the Cape is able to produce.